Simply mix the eggs with kefir on a mixing bowl and add a pinch of salt and pepper. Then fry on a saucepan with oil and cook until done. 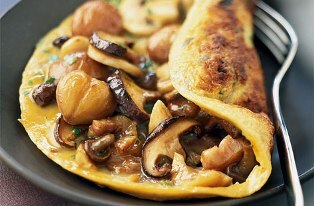 Try this delicious and nutritious Mushroom Omelette for morning breakfast. Perfect food to start your busy day and enjoy!